The Ethics Committee is Chaired by Professor Alison Koslowski and operated by a body of experts led by disabled people from across Scotland, Wales, Northern Ireland and England. Its membership includes representatives from academia and leaders from civil and civic society. 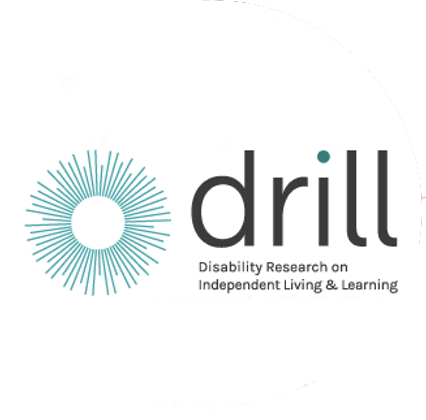 The purpose of the Committee is to ensure that in all areas the DRILL ethos of co-production is upheld, also to support the DRILL Programme Board (DPB), the National Advisory Groups (NAGs) and the Central Research Committee (CRC). University of Edinburgh Q – Step Director, Senior Lecturer in Social Policy. Professor of Autism and Inclusion, Director of Research, Southampton Education School University of Southampton. Lecturer in Social Work, School of Social and Political Science, The University of Edinburgh. Senior Lecturer, Organisational Studies and Human Resource Management, Portsmouth Business School, University of Portsmouth.